Our Art Center in Glen Arbor is the direct result of the dedicated and generous support from the Glen Arbor community. It is conveniently located in the heart of the village, but is tucked away on a quiet drive behind Lake Street Studios on Lake Street and Leelanau Coffee Roasting Company on Pine Street. The building is bright and inviting, full of large windows to catch natural light and inspiration from the surrounding woods. Wildlife is often spotted nearby. This building and natural setting provide just the right “home” for our many activities. Besides being our administrative center and providing artist-in-residence accommodation, it has become a focal point for our primary business – nurturing and encouraging interest in art in its many forms. A variety of art classes, reader’s theater, artists’ presentations, after school art, gallery shows, concerts, and community meetings make our art center hum with year-round enrichment. We are most grateful to our supporters whose faith in our mission and in our ability to move forward has resulted in this fine facility built in 2002 and doubled in size in 2017 with a complete renovation and addition. Please drop by and see us. Our friendly staff will gladly show you around. 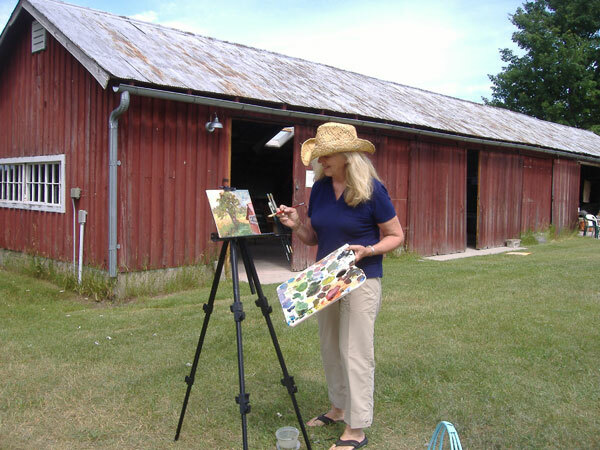 Glen Arbor Arts Center’s other Art Center is located at Thoreson Farm in the Sleeping Bear Dunes National Lakeshore. The farm provides an idyllic setting for our summer adult art classes, a pottery studio, work space for our visiting artists, and an occasional concert. All cherish the beautiful surroundings that provide endless inspiration for artistic pursuits. Building on an initiative developed by our founding members, GAAC has been working since 2000 in partnership with the Sleeping Bear Dunes National Lakeshore to restore this historic farm. GAAC volunteers have provided countless hours of restoration work. Where there were previously decaying buildings now stand restored and preserved buildings for future generations to enjoy. Completed projects include a large classroom facility created in a former implement shed, a nearly fully restored granary, a former dairy space now ready for weavers, a farm house free of dampness, a falling down barn saved and strengthened, and a chicken shed and a privy brought back to their former glory! All this has been achieved by tremendous goodwill and hard work on the part of the GAAC and Park personnel. We are particularly proud of our volunteers, who received U.S. Department of Interior recognition for 4,437 hours contributed between 2000 and 2007 to the Volunteers-In-Parks program and the mission of the National Park Service. We are also proud of our donors who have given so generously for the purchase of materials and specialized skills. The farm is located in a quiet setting in the Port Oneida Historic District on Thoreson Road a couple of miles north of Glen Arbor about 1 mile west of route M22. 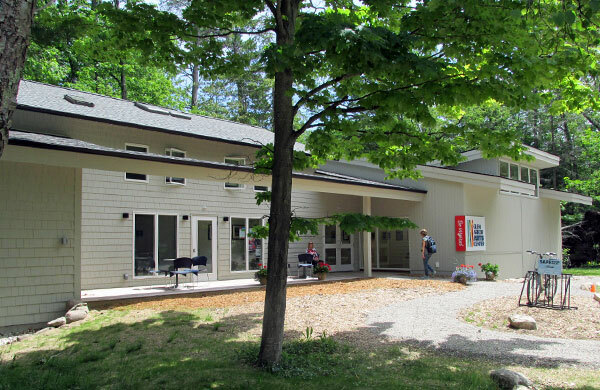 For those of you unfamiliar with the Glen Arbor Arts Center call, write or email us. We will gladly add your name to our mailing or email list for notification of art classes, Manitou Music Festival schedules, special events, and for our newsletters.